Riga Castle has stood on the right bank of the River Daugava for more than 700 years and is one of the most significant architecture monuments in the Baltic States. 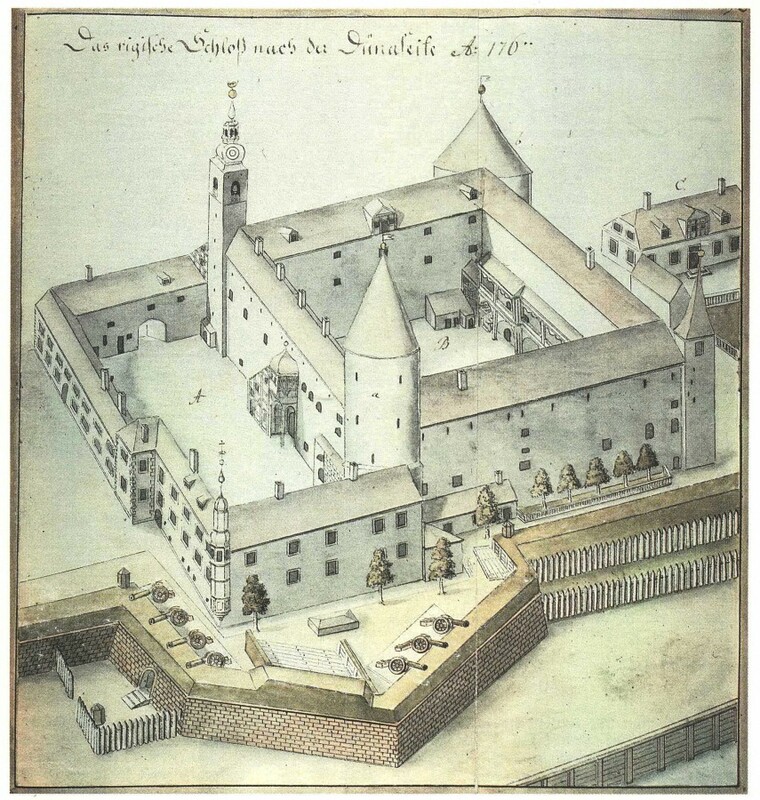 The castle was founded in 1330. This structure was thoroughly rebuilt between 1497 and 1515. 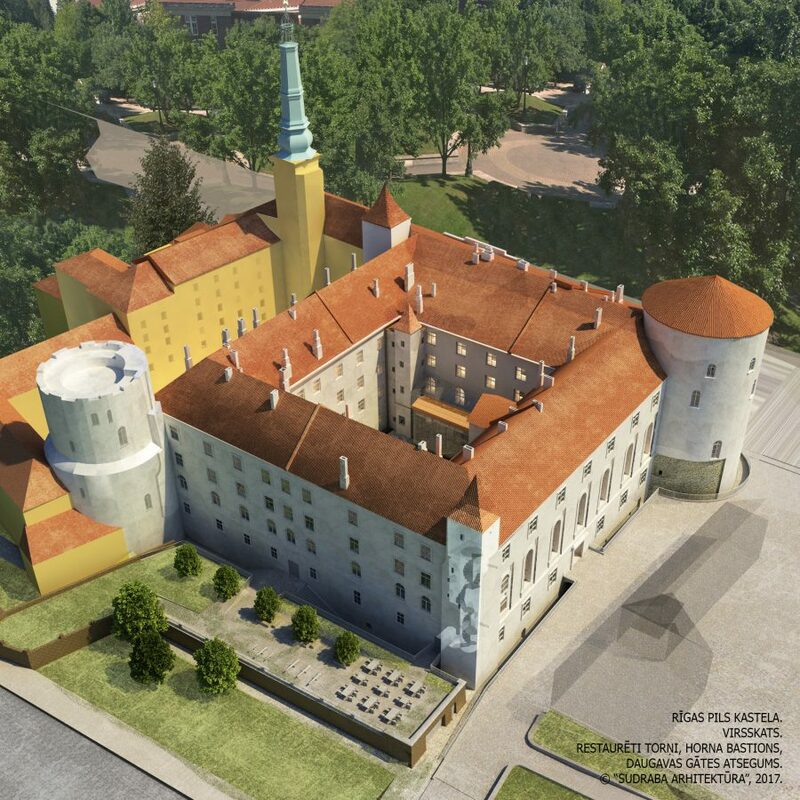 The fortress was continually augmented and reconstructed between the 17th and 19th centuries.Currently the northern part of the castle is the official residence of the President of Latvia, but the southern part after the completion of our project will house the Museum of History of Latvia. 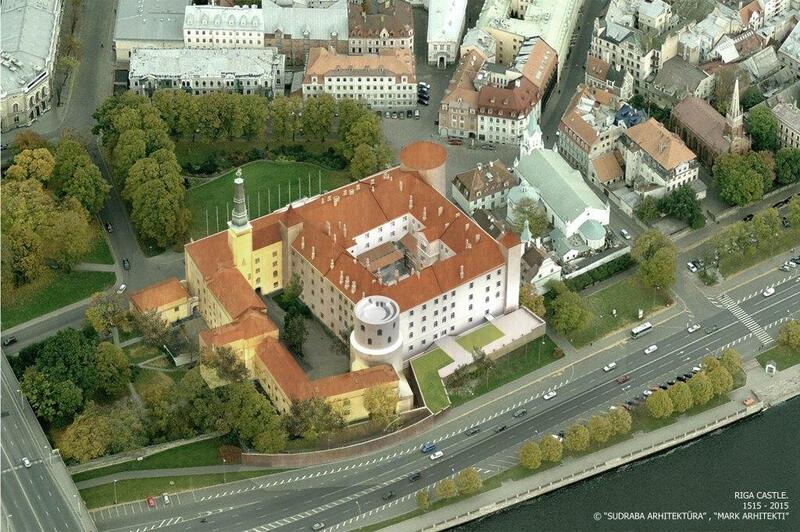 Riga Order Castle is one of the largest medieval castles in Latvia. For many centuries the castle has been a seat of power. 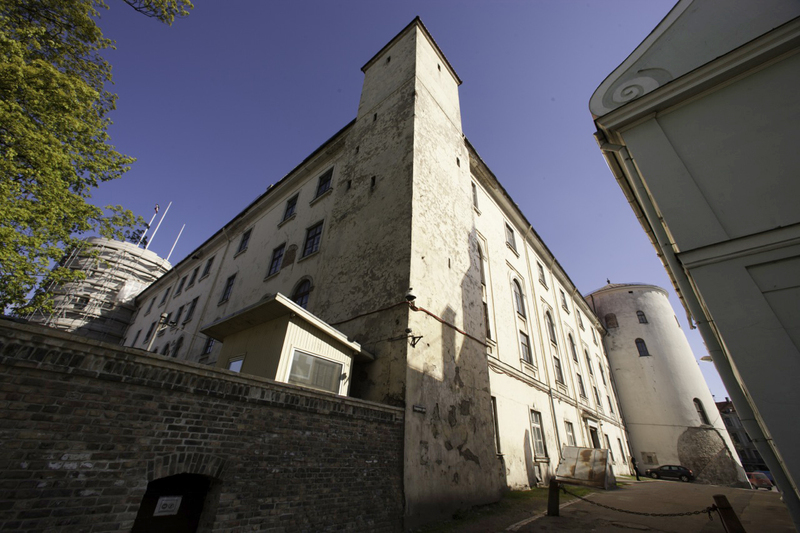 Its location in the centre of Riga, close to the River Daugava makes the castle even more important geographically, functionally and for representation purposes. 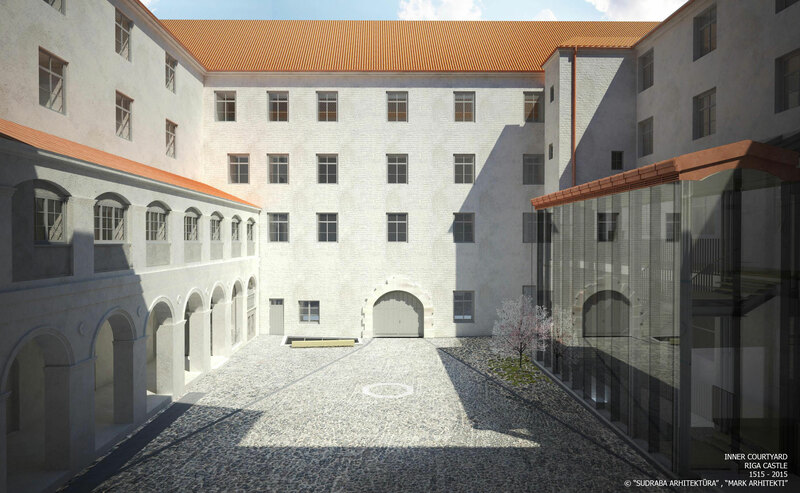 The restoration concept of the Castellum of Riga Castle aims for preservation of historical substance to a maximum extent, adding functionality and technologies required for successful operation of the building in future. 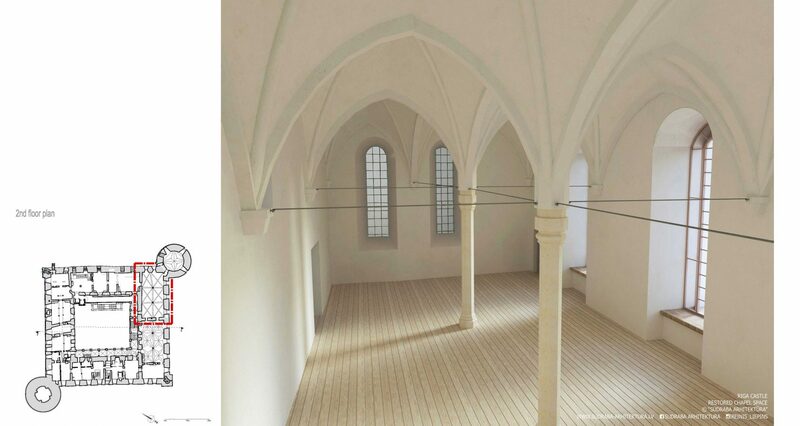 Modifications of the historical part that are envisaged in the design are kept to the minimum and are necessary to reveal the real historical value of the Castellum and to ensure proper functioning of the National History Museum of Latvia. 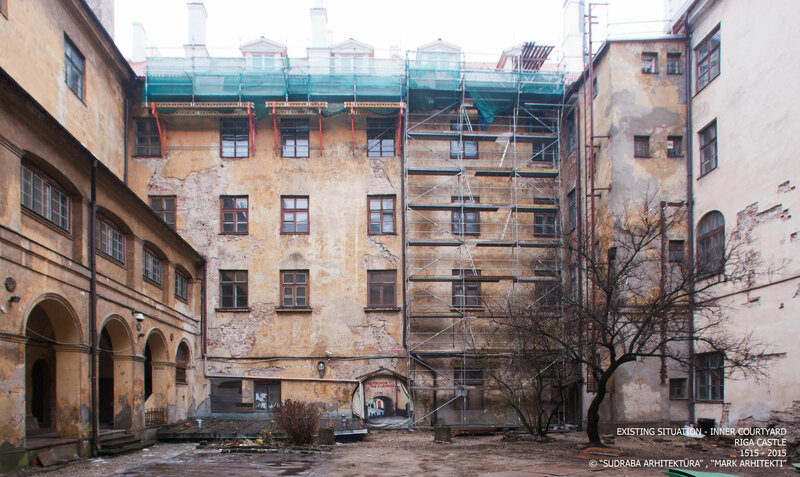 The Castellum courtyard is part of urban environment and extension of Old Riga. 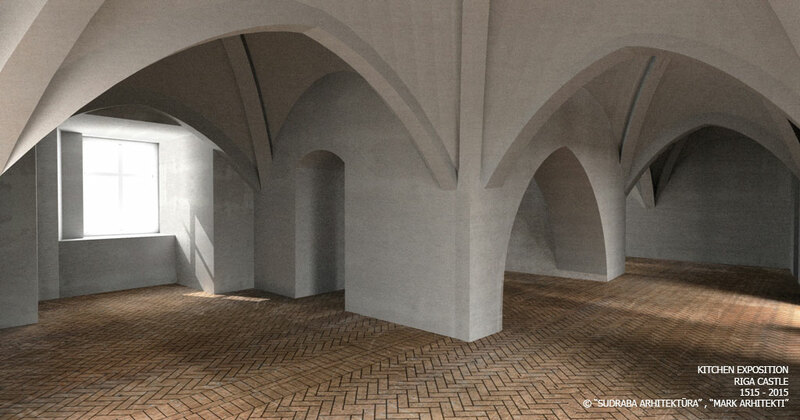 The courtyard includes the new two-storey extension supplementing the structure of the courtyard arcade. The glass structure is designed as a reference to the former gallery by the eastern wall aiming to reconstruct the courtyard complex. It will contain new staircase, necessary to connect basement, first and second floor. 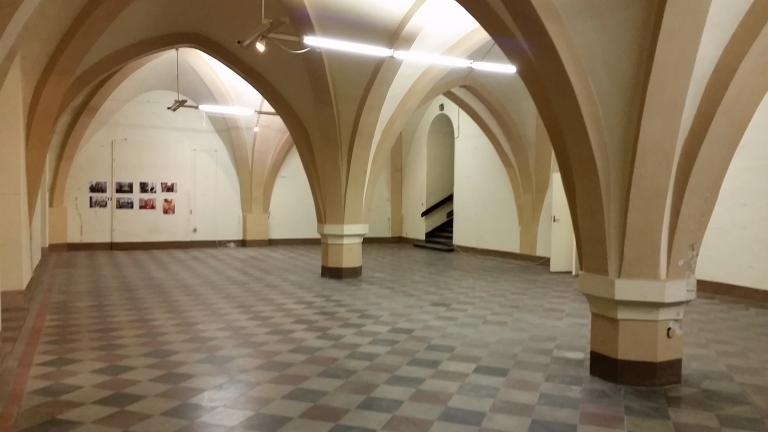 One of the most important spaces in Riga Castle is chapel located in the 2nd floor. 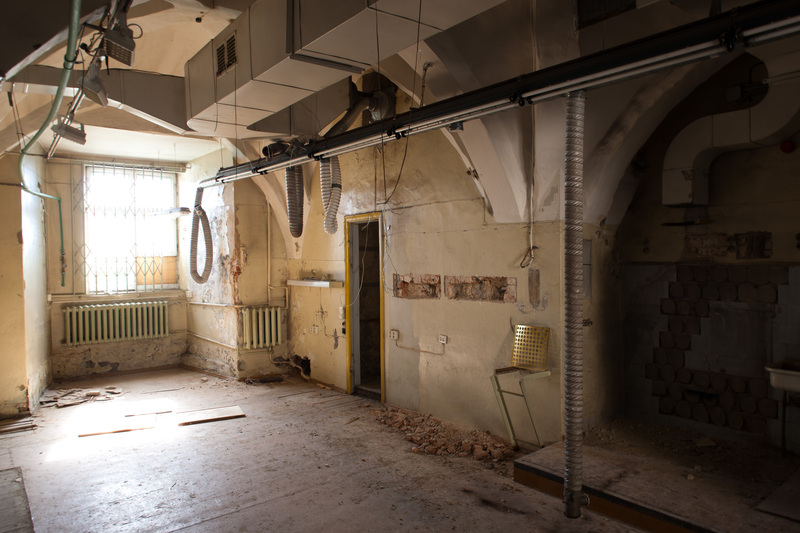 The room is going to be restored to its original appearance by removing the ceiling currently dividing the floors. 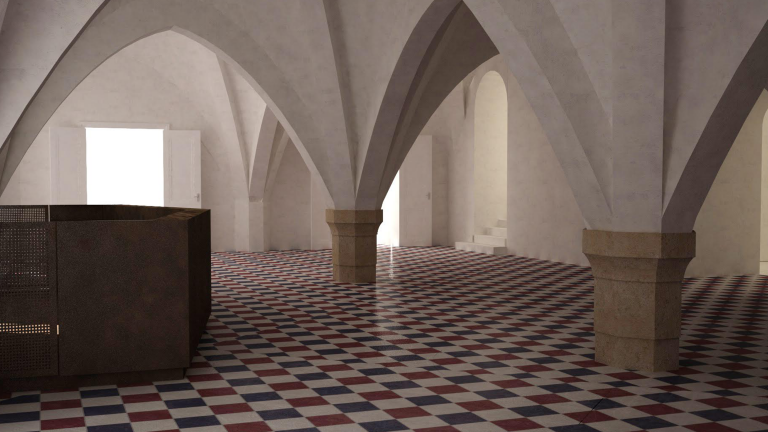 The concept for interior of the chapel intends to restore an undivided space which is the most significant feature characterising a medieval castle.